Bayero University, Kano [BUK] Important Notice to Students on Continuation of Second Semester Examination after Suspension of the Nigerian Labour Congress Strike for 2017/2018 Academic Session. 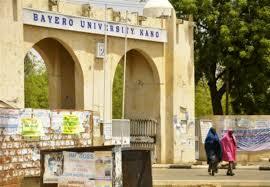 The Management of the Bayero University Kano wishes to inform all students the the ongoing second semester examination for 2017/2018 academic session continues after suspension of the NLC Nationwide Strike. With the suspension of NLC Strike, BUK second semester examinations will continue on Tuesday morning as scheduled on the examinations timetables. The paper missed would be rescheduled later. Directorate of Examinations, Admissions and Records.